500 Admiralty Parade, Naples, FL.| MLS# 218066456 | Realty Group of Southwest Florida, your number one choice for homes in Southwest Florida. With over 200 feet of water frontage, the unparalleled panoramic views of Doubloon Bay are the focal point of this pristine 2016 BCB built home. Sleek, contemporary finishes and floor to ceiling glass are the framework of the expansive view, just upon entry through the custom Tischler Mahogany door. The one-of-a-kind floating European White Oak staircase with chrome detail and custom glass railing is a work of art. Countless upgrades to include Loewen Lift Slide, floor to glass sliders, all-glass wine room, hand selected Calcutta Marble flooring and luxurious pool and spa, make this a true modern masterpiece. There are nine bedrooms total including a nannyâs suite. Two of the bedrooms including the master suite are on the main floor. The upper floor bedrooms are separated into three sections each with its own lobby area. 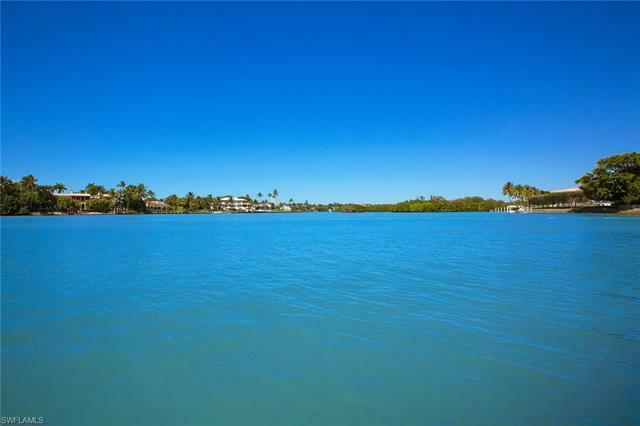 Perfectly situated on the north side of Admiralty Point, boaters will appreciate the protection from the open bay while enjoying the equivalent long water views. This property is also eligible for Port Royal Club Membership.